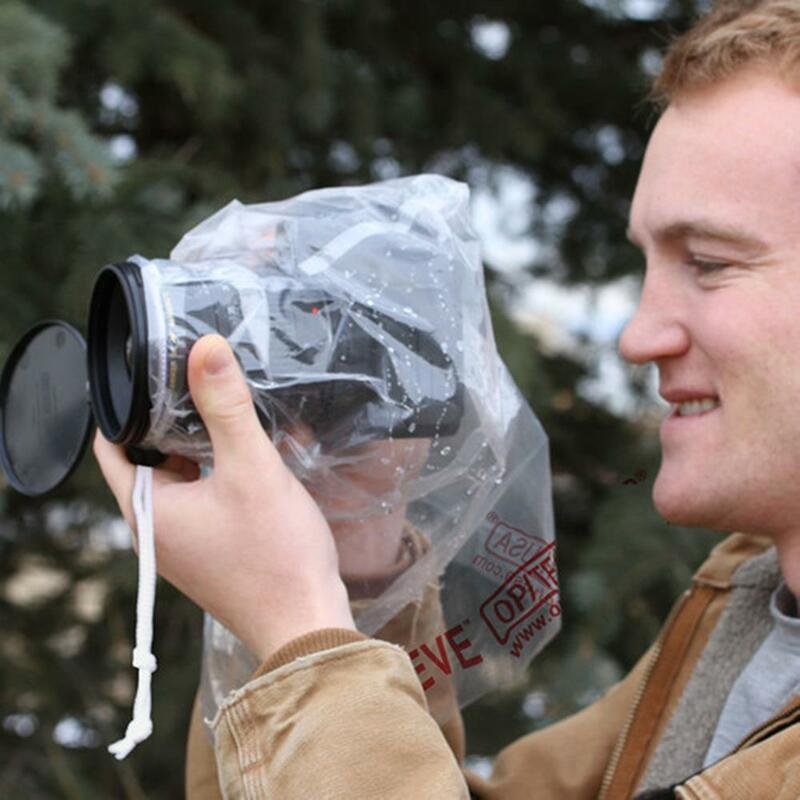 The Rainsleeve - Small is ideal for cameras with shorter lenses. It will fit any camera/lens configuration up to 4 1/2 in (11.4 cm) in diameter and up to 8 in (20.3 cm) long. Be prepared for the unexpected by always bringing along a Rainsleeve! The Rainsleeve offers a shield from the elements that fits easily in the pocket or camera bag. It features a unique eyepiece opening that adapts to most camera viewfinders, allowing composition of shots through the camera's lens, not through the plastic. The Rainsleeve Series from OP/TECH USA is the must-have accessory for avid outdoor photographers, offering a shield from the elements (from rain, sand and snow) that fits easily in a pocket or camera bag. It features a unique eyepiece opening that adapts to most camera viewfinders, allowing composition of shots through the camera's lens, not through the plastic. 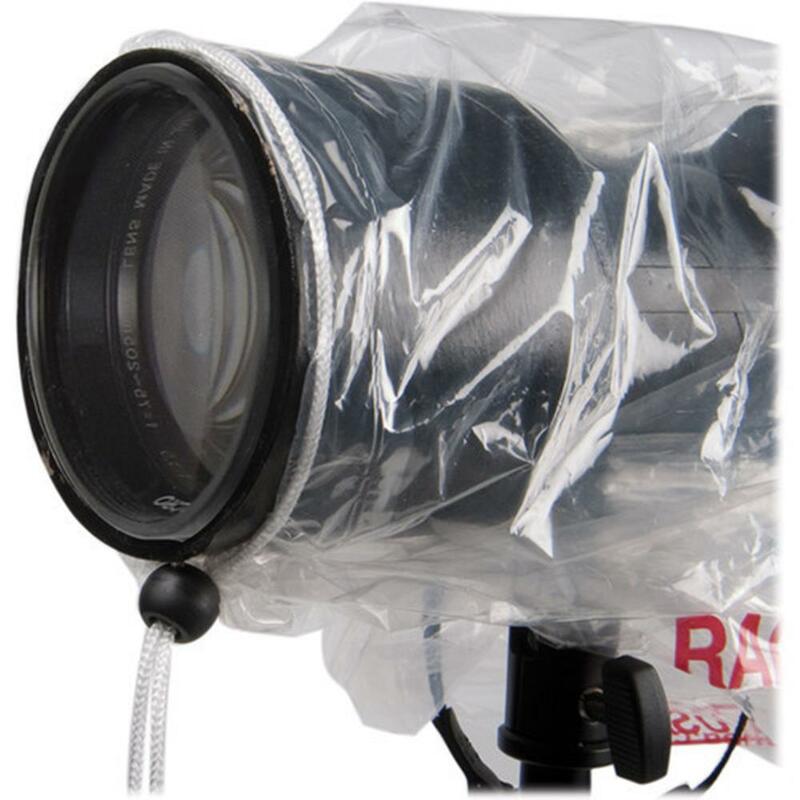 All camera and lens controls are easily seen and operated through the Rainsleeve. It can be used either hand-held or on a tripod. If shooting with a long lens, the tripod mount can be attached directly through the pliable plastic. If shooting using an OP/TECH USA neck strap, simply attach the quick disconnects directly through the pliable plastic. (Note: verify that you have a positive lock on the quick disconnects.) The drawstring enclosure uses a barrel lock to secure snugly around the lens offering added protection and convenience. Conveniently offered in a 2-pack, it's the economical way to make sure camera gear is protected in any kind of inclement weather.